The UK company has just landed $28 million investment and is targeting another $120 million in the following months. Chinese tech giant Tencent teamed up with Medopad, a UK-based artificial intelligence healthcare technology company, according to a report by Chinese media outlet Pinwest. The two are set to jointly develop artificial intelligence-enabled clinical decision support (CDS) software and medical chatbots. Tencent, which is renowned for its super app WeChat and games, always has a thing about AI technologies. Founded in 2016, Tencent AI Lab looks to implement AI technologies across all Tencent products, according to Dr. YU Dong, deputy director of Tencent AI Lab. And AI-empowered healthcare is one of the priorities. The company claims its AI medical imaging product Tencent Miying is already able to detect several types of cancer. Medopad’s mobile app allows doctors remotely monitor and connect with patients, as well as provides analytics that help doctors with diagnosis. 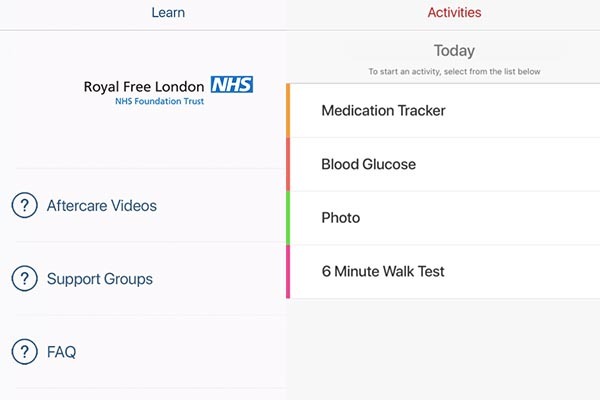 Through wearables like Apple watch, it also collects data which patients can send to healthcare professionals. The platform also offers insurers ways to analyze a large amount of data in a bid to provide personalized policies. The UK company has just baked $28 million in a Series A funding led by NWS Holdings, a Chinese infrastructure group. It’s raising another $120 million in the next few months, which if happens will make it one of the UK’s most valuable startups. Apart from Tencent, Medopad’s other partners include Ping An Good Doctor, China Resources, and Peking University.